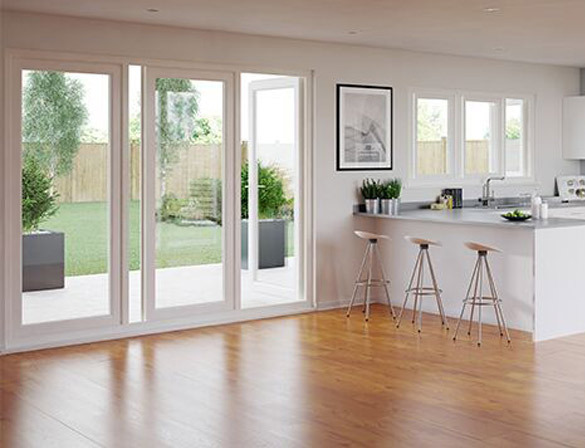 PremiFold slide and swing doors by Everglade Windows are a great alternative to bi-folding and lift and slide door sets. PremiFold slide and swing doors combine Everglade’s uPVC frames with special hardware to create a slide, swing and fold opening. The unique PremiFold hardware from VBH enables each door sash to slide along the track independently and be folded to the side. This gives homeowners the opportunity to merge indoor and outdoor spaces. The independent movement of the sashes means that the slide and swing system offers more ventilation and entry options for your customers. 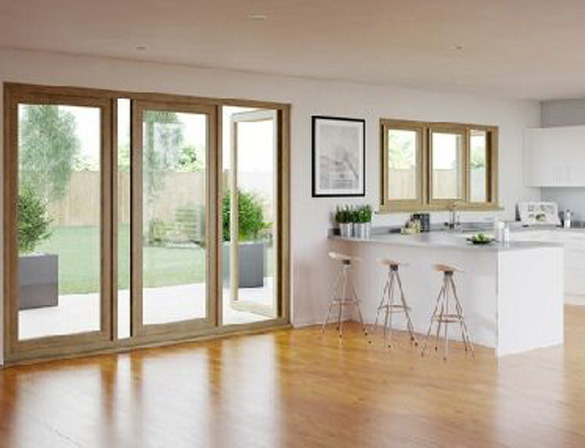 Slide and swing doors from Everglade Windows can be fully suited with windows and other PVCu entrance doors. Our uPVC profile has been designed to gives our slide and swing doors excellent thermal efficiency. The doors are fitted with energy efficient insulated double glazed units or your customers can choose to upgrade to triple glazing, for an extra level of warmth. 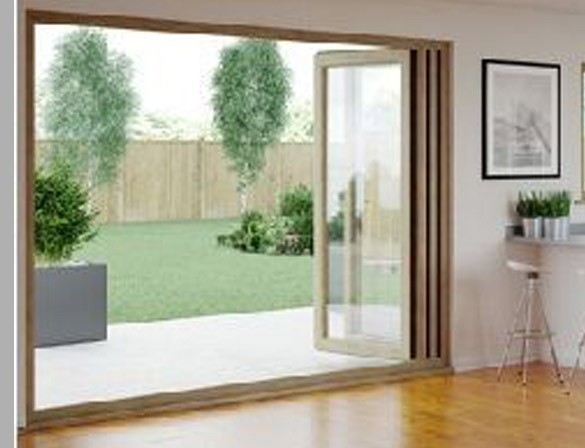 There are plenty of design options for slide and swing doors. The hardware is fully concealed for a seamless look and the doors are available in a full range of colours and finishes. This cleverly engineered hardware can also be used to create wide-span windows, perfect for ventilating dining rooms and kitchens. Slide and swing doors are available in a full range of colours and can be suited with Everglade uPVC windows and entrance doors. We stock a full range of colours for quicker turnarounds on slide and swing door systems. 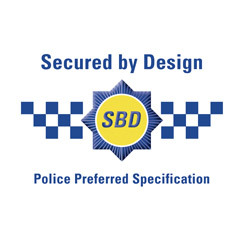 Our slide and swing doors have the optional upgrade of being fitted with Ultion 3 Star high security cylinders. Choose Lock Lock from Ultion for the ultimate protection on doors. For doors that are never locked from the outside, there’s a cylinder-free version. 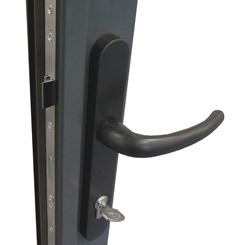 Slide and swing doors come with a classic lever handle. Your customers can choose from: White, Black, Silver, Smokey Chrome, Polished Chrome and Gold. Our slide and swing door system is PAS 24 accredited and Document Q compliant. Frames are fully reinforced and you can upgrade to the Ultion cylinder lock for extra peace of mind.